The month of September is upon us and anticipation is sky high regarding Apple’s new iPhone. It is widely believed that Apple will announce its new smartphone on September 12. In the months and weeks leading up to this announcement, we have seen a plethora of rumors pertaining to this upcoming device. 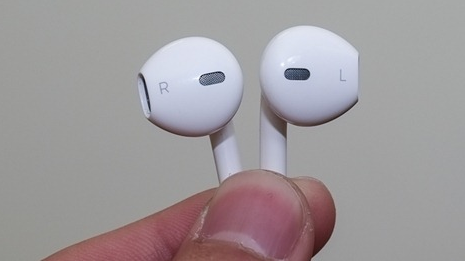 One of the latest rumors suggest that Apple might be introducing redesigned headphones with its sixth generation iPhone. A lot of changes are expected to be made by Apple, particularly in terms of design, in the new iPhone. Apple is going to replace the older 30 pin dock connector with a much smaller 9 pin dock connector. This would allow the device to be thinner as well as free space at the bottom for that repositioned headphone jack we have been hearing about. The company has also been rumored to be working on two new accessories for next generation iPhone, one of them is believed to be a cover with a kick-stand. Proof of new redesigned headphones was first posted by a Vietnamese website named Tinhte. These pictures, along with a video, show what seems to be a genuine unit of these new headphones. Apple has not made any substantial changes to this crucial accessory every since it first released the original iPhone back in 2007. It is high time for a change, but it remains to be seen whether or not Apple really does go ahead with a new headphone. As we have learnt from the past, we can never be too sure about these rumors. It should be noted though that the video in which these new headphones were shown has now been made private. Much has already been said, heard, written and read about the next generation iPhone. We expect it to have a new design, a thinner profile, a larger screen apart from a load of other features. The new Apple iPhone might be announced on September 12 with shipments in the US commencing after merely nine days on September 21. For all we know, the rumored time frame might turn out to not be the real deal. Its a waiting game now.